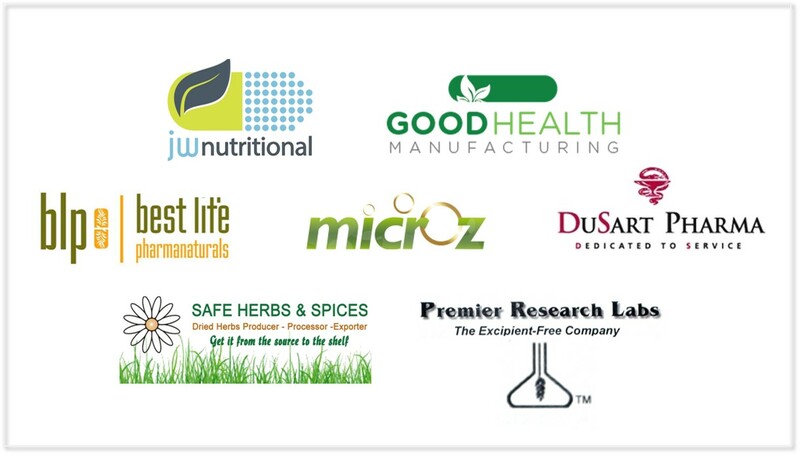 RIBUS, Inc., the global producer of rice-based alternatives to synthetic excipients, is pleased to announce seven more companies to join the RIBUS Certified Contract Manufacturer Program (CCM). “Providing the industry with functional and clean label ingredients is not enough”, per Steve Peirce, President of RIBUS. RIBUS implemented the program to assist in the recognition and certification of contract manufacturers that have demonstrated the ability to produce tablets and capsules using Nu-FLOW ® , Nu-MAG™ and Nu-RICE ® . These natural or organic excipients are replacing Silicon Dioxide and Magnesium Stearate in commercial production. Below, please find an overview of the newest “CCM” recipients. Best Life Pharmanaturals: Located in Tempe, Arizona, Best Life Pharmanaturals offers contract manufacturing, product development, custom formulations, packaging and labeling and quality assurance in tablets, capsules, powders or liquids. Good Health Manufacturing: Good Health Manufacturing offers comprehensive solutions, such as custom formulations to private labeling and packaging, in their state-of-the-art facility in Phoenix, AZ. JW Nutritional: JW Nutritional is committed to the health and well-being of its consumers by manufacturing dietary nutritional supplements with premium ingredients at an affordable price. As a contract manufacturer, our goal is to be the industry leader in quality and customer service by providing first-rate products with prompt turn-around times. Above all else, we value our wide variety of customers, as well as our lasting public and professional relationships. Premier Research Labs: Premier Research Labs (PRL) was founded to deliver uncompromising quality and effectiveness by providing 100% non-toxic and effective products. In fact, PRL has achieved an industry first in creating premier nutritional products based on quantum cellular resonance technology. Our products are free of undesirable chemical tag-alongs and are designed to deliver the very best quality to you and your patient. Safe Herbs & Spices: Safe Herbs was established as a family business, and we worked in our fields many years ago. Our products have a high degree of excellence and quality, which led to the expansion of our business, and to export our products to our partners abroad. Microz: Microz is a flexible company, specialized in the development, composition and production of food supplements. The basis of these supplements consists of herbs, plant extracts, vitamins, minerals, trace elements, amino acids and other substances found naturally in the human body. DuSart Pharma: DuSart Pharma is a company that focuses on the research, development, production and distribution of food supplements, nutraceuticals, sports food, cosmetic products, natural medicines and medical devices while respecting HACCP and GMP norms. At this time, DuSart Pharma produces approximately 2500 different products, ranging from tablets, capsules, bulk powders, creams, ointments, homeopathy and phytotherapeutic/herbal tinctures, as well as all natural and biological liquid preparates. A RIBUS Certified Contract Manufacturer has demonstrated their ability to stay ahead of the leading edge of ingredient trends, while positioning themselves as experienced and able partners who can offer clients a demonstrated knowledge and expertise in commercially producing tablets and capsules using RIBUS products. About RIBUS: Founded in 1992 as a functional ingredient manufacturing company, RIBUS is the global leader in natural and organic rice-based alternatives to synthetic ingredients. Its corporate headquarters is based in St. Louis, MO and its team of brokers and distributors includes over 125 sales representatives around the world. The company produces non-GMO, natural, organic, vegan and gluten-free ingredients for leading global producers in the food, beverage, pet and dietary supplement sectors. RIBUS’ patented, clean label ingredients Nu-RICE®, Nu-BAKE®, Nu-FLOW®, Nu-FLAC® and Nu-MAG™ can help solve production issues, and bring innovation to your products. Strict regulations and global consumer interest in growing clean label trends have fueled the growth, resulting in food and supplement manufacturers around the world reformulating or creating new products to meet the rising demand.